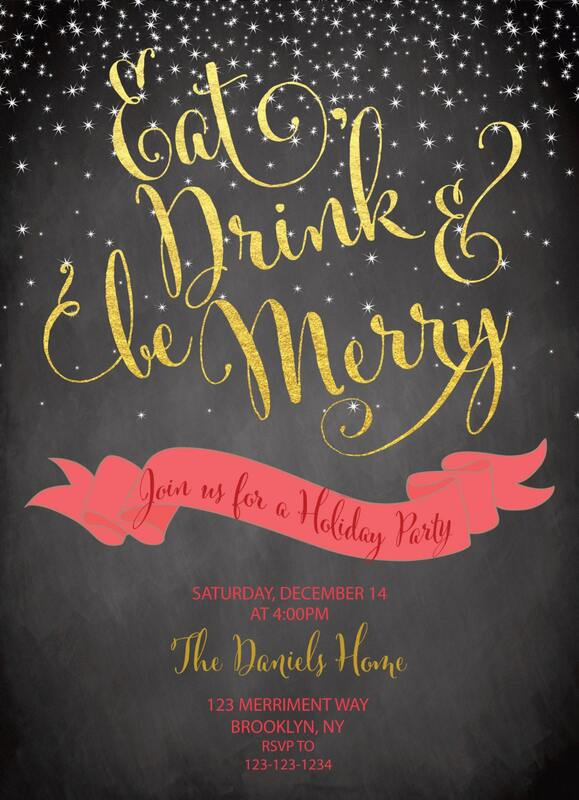 This invitation does not include real gold foil, but rather a quality high resolution image that prints to look like the real thing. 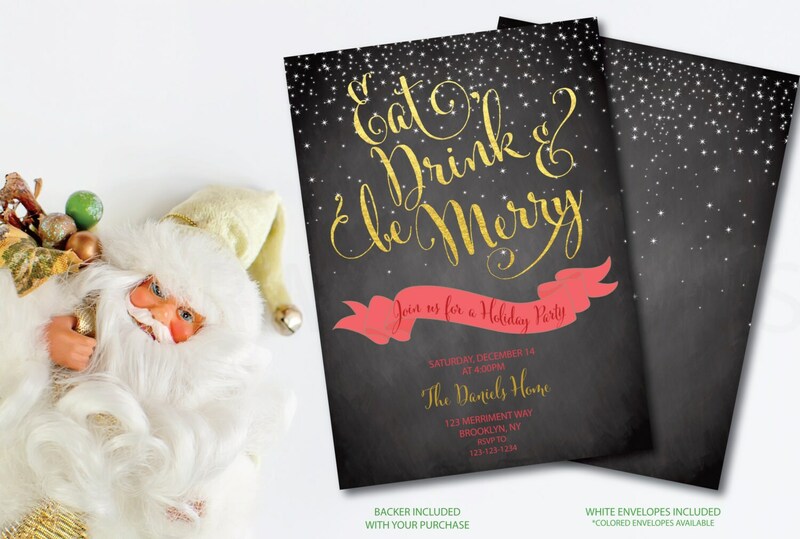 When ordering digital prints, the result is a digital flat print without embossing. Options for the printable file or number of prints can be found in the drop-down menu. FREE PRIORITY SHIPPING INCLUDED WITH PRINT ORDER. - Printed on Heavy 110lb bright white cardstock with a smooth satin finish. 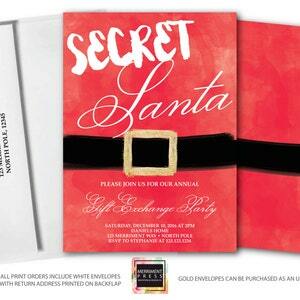 This printing choice includes white envelopes, shipping costs and double sided printing. As with all printing options, the color quality and paper quality are top notch! This option affords you a great value for top quality printing. - Printed on Extra Heavyweight, 130lb cardstock with a smooth satin finish. This cardstock is thick and luxurious. 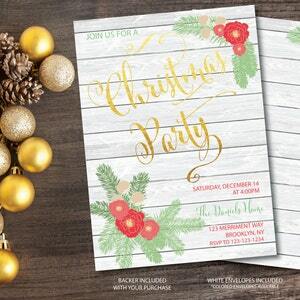 This printing choice includes white envelopes, double sided printing and shipping costs. 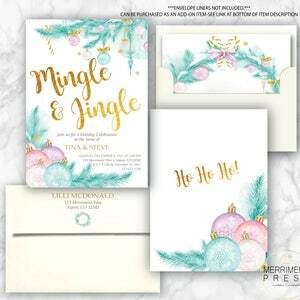 Great pride is taken in the design process at Merriment Press and also in the process of customizing your invitation to make it perfect for your event. If you have any questions at all regarding this listing, please do not hesitate to convo me with your questions! 1. PURCHASE: make your quantity and paper choices from the drop-down menu. 3. IF you purchased a digital file please indicate whether you will will be home printing or sending to photo lab/print shop.You may choose to print on your own at home, if this is the case you will receive 2 designs to an 8.5"x11" page for home printing and cropping. Proof will be sent to your email within the proof turnaround timeline found in shop announcement. This timeframe is updated often based on current workload so please check. If you require a quicker turnaround, you can purchase a RUSH on your order from the drop down menu. 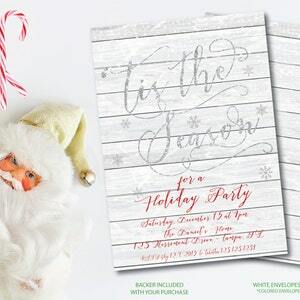 If you purchased a printed invitation, your order will ship in 2 to 3 days from PROOF APPROVAL. I do not believe in charging for extra revisions to your chosen design or for color/font changes. Most of the time these are easy changes and I understand that you are trying to make these perfect for your special event and I want nothing more than for you to have exactly what you envision when you purchase from me. If you desire changes to the graphics in the design, most of the time I can accommodate, but please convo me first. I can CHANGE 99% of the cards COLORS. Let me know what colors you want changed to and I can help out! I can also CHANGE certain ASPECTS of the design. For example, do you love the card but want an owl instead of a fox? I can do that! All cards are meant to be PRINTED on WHITE paper. All the colors including the background will print just as you see on the computer.